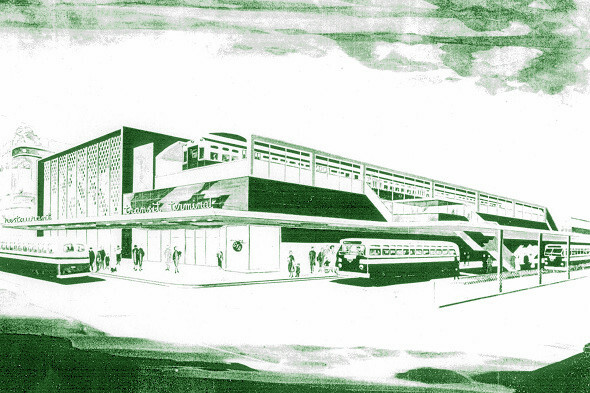 In 1958 CTA published an illustrated catalogue of future service improvements titled "New Horizons." Most of these proposals were never adopted. Here&apos;s a look at some of the plans for the Northwest Branch of the Blue Line. 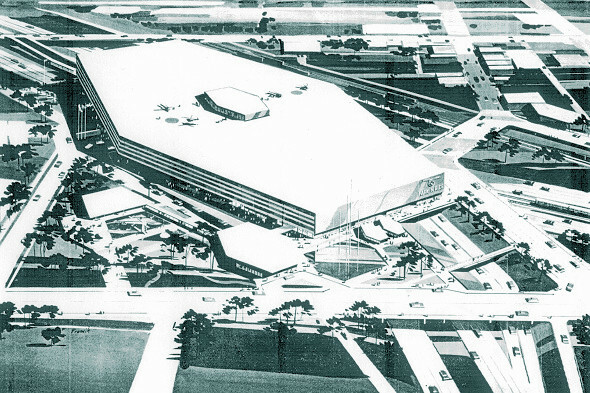 One of CTA&apos;s more audacious ideas was to construct a multi-story parking garage — on air rights over the Kennedy-Edens expressway junction! The view here is south from Wilson Avenue. Considering the current traffic congestion in the area, this is one plan that was best left on the drawing board. This parking garage was to be located on Northwest Highway, close by the Foster-Central "L" station. CTA eventually decided to put its station a few blocks south instead, at Jefferson Park. No garage has been built there. 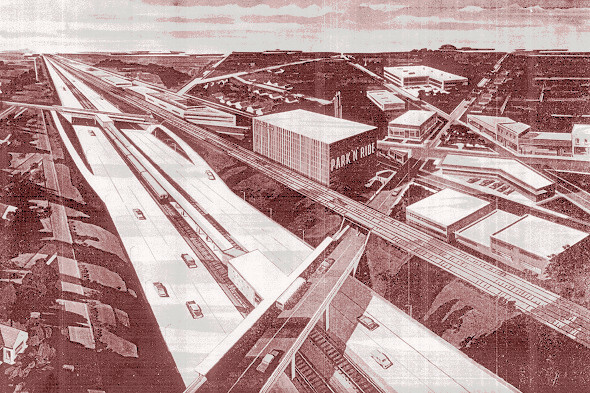 In 1958 the Crosstown Expressway was planned for a location just east of California Avenue. 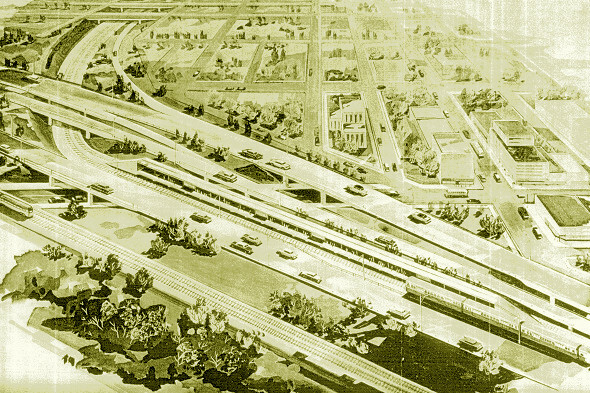 When the Crosstown was finished, CTA trains on the Northwest (Kennedy) Expressway were going to use its median to connect with the existing "L" along Milwaukee Avenue. The route of the Crosstown was later changed, so CTA substituted a subway under Kimball Avenue as the connector. Under the Crosstown Connector proposal, there would be no "L" terminal at Logan Square, so installing escalators and renovating the bus bays there was a questionable use of funds. These improvements were never made. In 1970 the "L" terminal was replaced by the current Logan Square subway station.